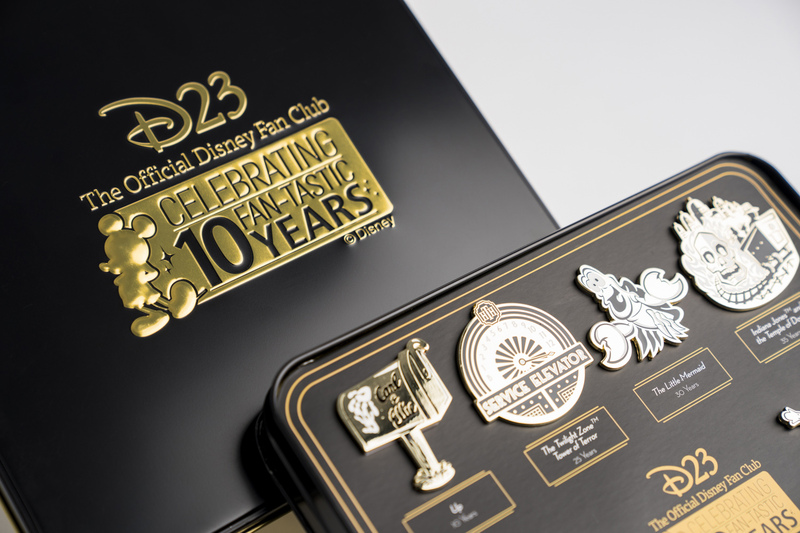 This year, D23, The Official Disney Fan Club, is celebrating its 10th anniversary with new and expanded offerings, including more discounts and even more special events. To help celebrate D23’s 10th anniversary, the official Disney fan club had an exclusive boxed set of 10 pins made. The pins feature characters, movies, television shows, and theme park attractions that are also celebrating landmark anniversaries. Included in the set are highlights from across the Disney family — from Marvel Comics to Disneyland, from Indiana Jones to the Muppets! There’s a pin depicting the very first, very macabre Silly Symphony, The Skeleton Dance, which was released 90 years ago. Another pin marks the 85th anniversary of everyone’s favorite feisty fowl, Donald Duck. Still another pin commemorates the 40th anniversary of The Muppet Movie, while another wishes a happy 25th birthday to the Twilight Zone Tower of Terror at Disney’s Hollywood Studios. The remaining pins mark similarly auspicious anniversaries. These beautifully crafted gold-tone pins were designed by Disney artist Ricky De Los Angeles and come in a D23 embossed tin. 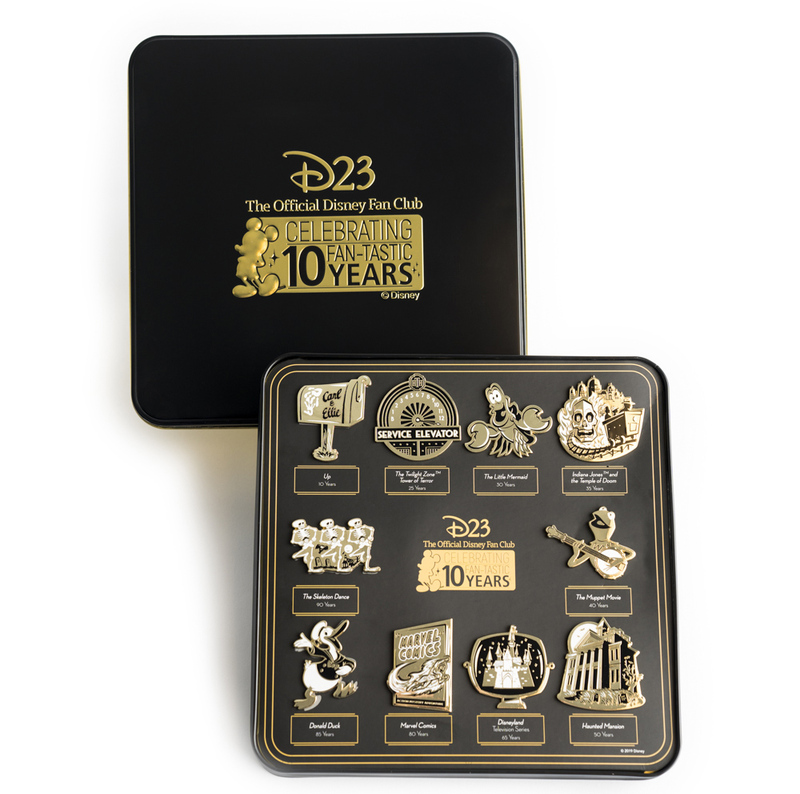 The boxed set will be sent to everyone who joins or renews their D23 Gold or Gold Family Membership in 2019. Here’s where the giveaway comes in! D23 has sent us a set of these gorgeous pins to give to one very lucky AllEars.net reader! Run on over to our Instagram account @allearsnet for the details on how you can win this beautiful boxed set of pins for your very own! Are you a D23 member? If not, check out the membership levels and how to join on the Official D23 site. Are you planning to participate in any D23 events this year, especially the 2019 D23 Expo? Let us know in the comments below.